What are SMART goals and How to Overcome Obstacles in Planning? There are many cases, when even successful businesses make serious mistakes, which cost them a lot, if not to say everything. A living example is the Target network. It is a well-known business in the US market. Their vision was to integrate into the Canadian market. However, their roadmap failed because of setting wrong objectives. They forgot that goals have to be realistic, measurable, time-bounded, and smart. Such a neglection of business principles led them to devastating results. They tried to join one of the largest markets within the shortest terms without a proper plan. As they say, haste makes waste and undermines the essential objectives (they do say so, right?). In this piece Roadmap Planner team provides you with a guide on how to conduct SMART goals and avoid business obstacles. But first, a small business success lesson. 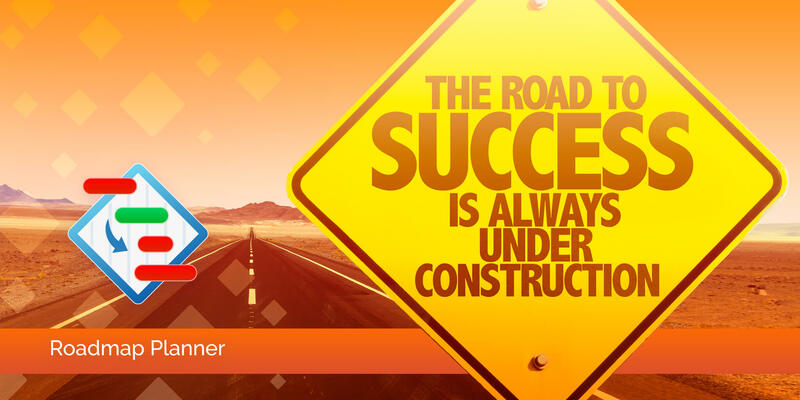 Build your path to success with Roadmap Planner! Don’t forget to thoroughly evaluate each stage of your plan to ensure that objectives are achievable, and the company has enough resources to fulfill all strategic goals. For this, it is highly recommended to develop a visual plan, so called business roadmap. By visualizing your idea, you can easily break your strategy into clear steps, which will lead you to the ultimate destination. Moreover, you can share the document with the key stakeholders, who may add some suggestions or help with insights. For instance, you can try out Roadmap Planner to accomplish this task. This is a great business solution for both C-level managers and PM’s that allows to view the whole picture at once. The app will help you to reflect all the necessary activities on the way to your business objectives, and accurately track their progress. However, each goal that you want to reach should be SMART. By SMART we mean metrics that help to manage a process of setting strategic goals. The key point is that if your goals are SMART, they will facilitate your way to success. Let’s take a closer look at these five key metrics, which will help you to set your own SMART objectives. Specific – Clearly identify what exactly you need to achieve. Communicate with your team on your vision to get more insights, and involve more colleagues in a common cause. Measurable – Define clear specifications for your goal, including timeframe, checkpoints, resources, etc. This will help you to plan necessary works to successfully reach your objectives. Attainable – You should specify the ways to reach your strategic goal, which should be realistic. Remember the Target case? They set a goal, arranged enough resources and good brand awareness. However, they failed, as they didn’t specify the realistic time frames, and the ways required to get to the final destination. Relevant – You should regularly conduct a market research and get a valuable feedback from your target audience on the issues they are currently facing. This information will help you to determine your added value. Timely – Set deadlines for each stage of your plan. Now you can easily track the progress towards each milestone, and timely reallocate resources to reach success. Otherwise, you may find yourself in Target’s shoes. With our Roadmap Planner, you can easily map all important points, showcase your vision to your team and partners, and be sure that all concerned parties are on the same page. You may think that achieving goals is the only thing you should care about. However, there are a lot more important aspects to consider. For instance, obstacles that may arise on the road to success. They can be internal and external. By internal obstacles we mean something that comes from the inside of the company. Fail of equipment, low-performance of a team, lack of resources, even fear of failure, etc. – these are all internal obstacles that may be a bar to your company success. 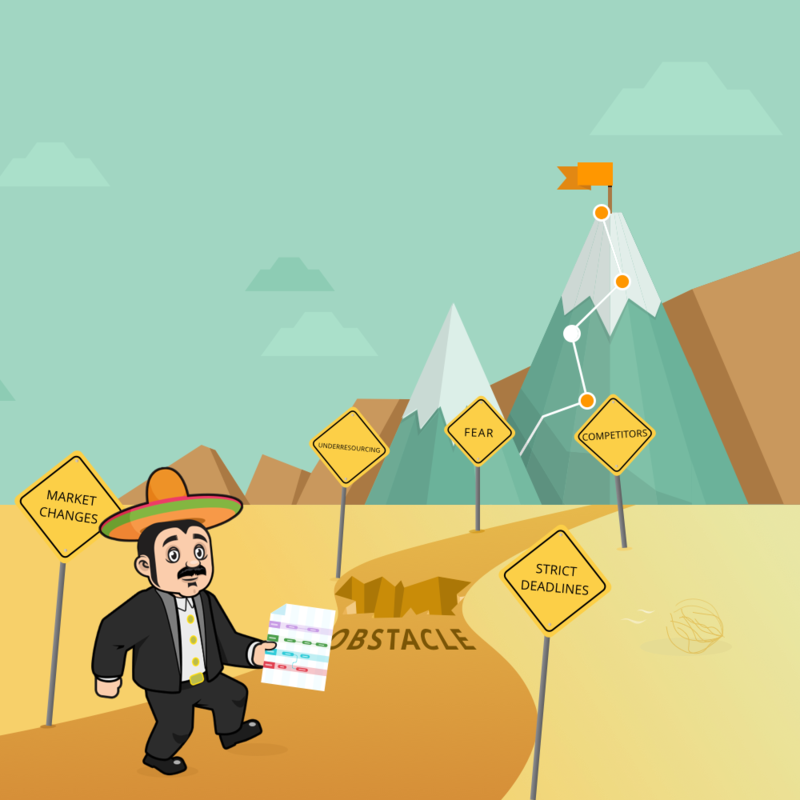 External obstacles include activities of competitors, actions by partners, and market fluctuations. They may also affect your business. But, if you couple the planning process with a high-quality visualization of your strategy, most likely, you will seamlessly bypass all possible hurdles. Especially, if you are using a top-notch planning utility, like Roadmap Planner. Actually, you can use spreadsheets, sticky notes, or notepads to set your strategic goals. However, it is quite difficult to track the progress of each required work, or instantly react to changing market conditions with these tools. Moreover, it will take a lot of time to find the data you need at the moment, as your ideas, comments from stakeholders, feedback from customers may appear in multiple tabs or pages. With Roadmap Planner, you will easily avoid such inconveniences. The app offers an all-in-one solution for developing your strategy, setting SMART goals and objectives, sharing or presenting your vision to all concerned parties, and tracking the progress of your works. As a result, you will improve the overall workflow of your team in the most convenient way. Find yourself buried under the tons of paper, endless pages in spreadsheets, and never-ending nightmare of documents, which only heaven knows how to process? Then you should try Roadmap Planner. It will keep all important information on one page, making it easier to think about strategic targets and simplifying the team-work with managers and stakeholders. Get a relief from your severe headache – how to set SMART goals and seamlessly reach it – with our Roadmap Planner. Download the app now, and put an end to mess with your planning process. Blue Ocean Strategy Summary – Should You Implement It?